For the ponds and waterbodies management, the AQUAGO team has developped a unique know-how. We provide turn-key solutions to clean your lakes and control eutrophication symptoms. The maintenance of ponds and waterbodies is essential. It helps preserve the biological balance of the aquatic ecosystems, thus the waterbodies as natural assets. Our waterbodies and ponds have multiple uses that can unbalance the quality of the ecosystem, and cause a degradation of the water quality. These are the signs of eutrophication of the waterbody. Fishing, recreative activities, bathing, canoeing, aquaculture or simply the preservation of the ecosystem require a management of the ponds and waterbodies. AQUAGO is here to help you and do it with you. Pond aerator. This system brings the essential oxygen in your pond or your lake and set the water body in motion. This system brings the essential oxygen in your pond or your lake and set the water body in motion. Removes duckweed from you pond, lake or lagoon. Duckweed sucktion system that revives the aquatic environment. Developped and manufactured in France. Controls eutrophication of waterbodies and wastewater treatment lagoons. Can be installed on any site within 2 hours. For ponds and lakes : increase the vegetal filtration zones, improve biodiversity, the floating islands creates an additional interface between aquatic and onshore habitat. Developped and manufactured in France. Controls eutrophication of waterbodies and wastewater treatment lagoons. Can be installed on any waterbody. 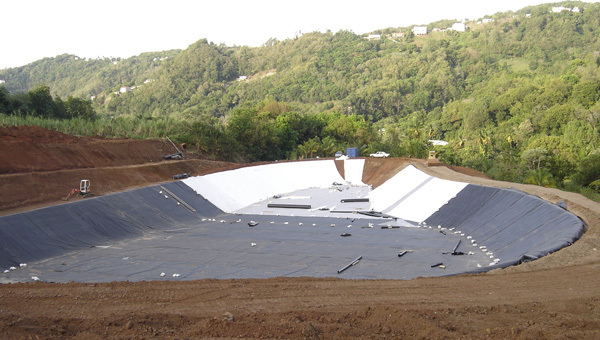 The AQUAGO team can provide geomembrane waterproofing solutions for artificial ponds.